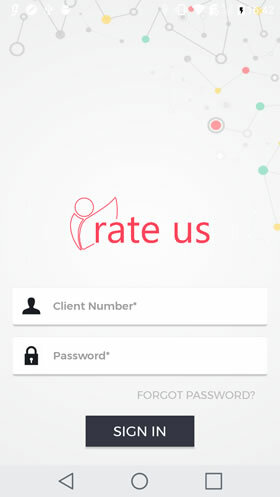 Rate Us was designed to give a voice to clients across a range of industries, with our initial focus on Aged Care and Disability support agencies and the NDIS. 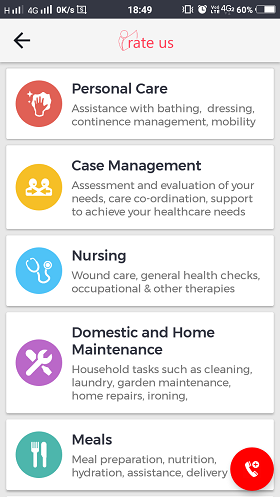 With its easy to use interface, flexible survey questions, quick survey buttons, and alert call button, it provides a much needed solution to the issues surrounding support services, and lack of care. Agencies simply import their clients data, where they will be given unique logins, and immediate access to the surveys, which in turn provide real time live data from the clients, whether they are happy with the service or not. Rate Us seeks to give the client a voice, and in turn provide important data to the agencies to make improvements, and keep their clientele. Survey questions can be modified to suit providers and industry. dummy-video from Konstellation & Republica on Vimeo. Want to know how Rate Us can help your agency? Download the app free from the App Store! Copyright © 2016 Rateus. All Rights Reserved.